Do at least one thing you have never done before in your life – and you won’t be able to stop. In today’s world, we read more but learn less. We travel more but change less. We’ve seen all the tourist destinations thousands of times on the internet and therefore fail to be amazed when we actually visit a place. So why do we bother to travel at all? 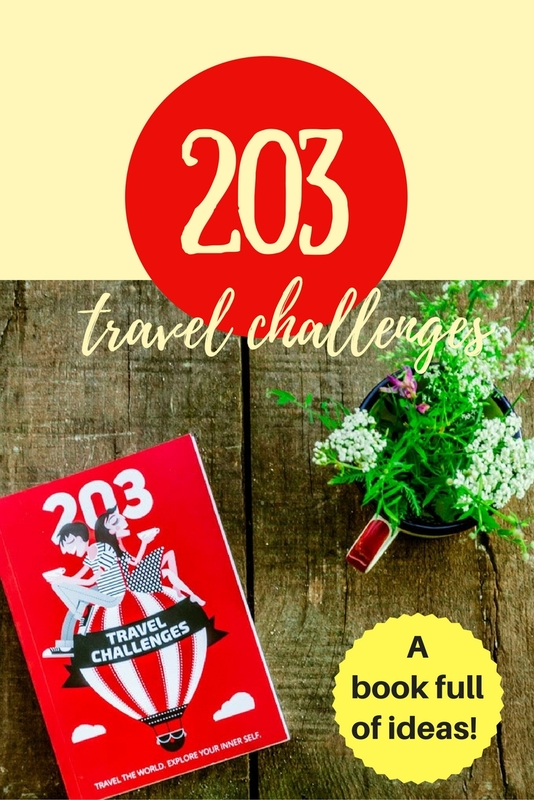 “203 Travel Challenges” is different from any travel book you’ve read before. It’s not just for reading, it’s for taking action. It will give you ideas of destinations and new experiences but, above all, it will challenge you to do, see, hear and try things you’ve never thought of doing while traveling. It will make you open your mind to the exciting opportunities that you have but rarely use. “203 Travel Challenges” will give you useful information and advice. It will inspire you to transform every trip into your very own personal adventure. 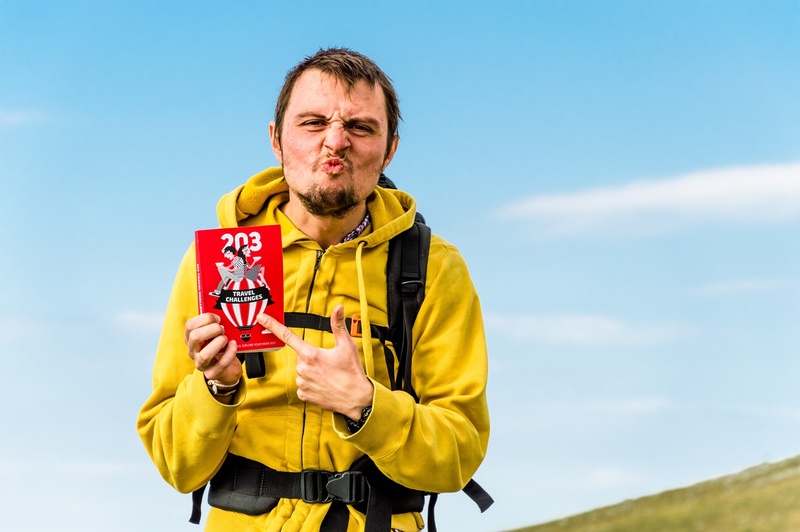 “203 Travel Challenges” is for anyone who thinks they have tried everything. For anyone who thinks they just can’t. For any ordinary person who loves traveling, the new things in life as well as life itself. For any tired, busy, serious, conservative, disappointed or sad person – you’re the person who needs a little change of scenery the most! We’ll challenge you to change the way you travel in at least 203 different ways. Read a sample on the Amazon page of “203 Travel Challenges”. Take the ingredients of the challenges, stir them, move them and change them to create your own challenges. Nah… just joking, you’re going to love it! Why are we so sure?! 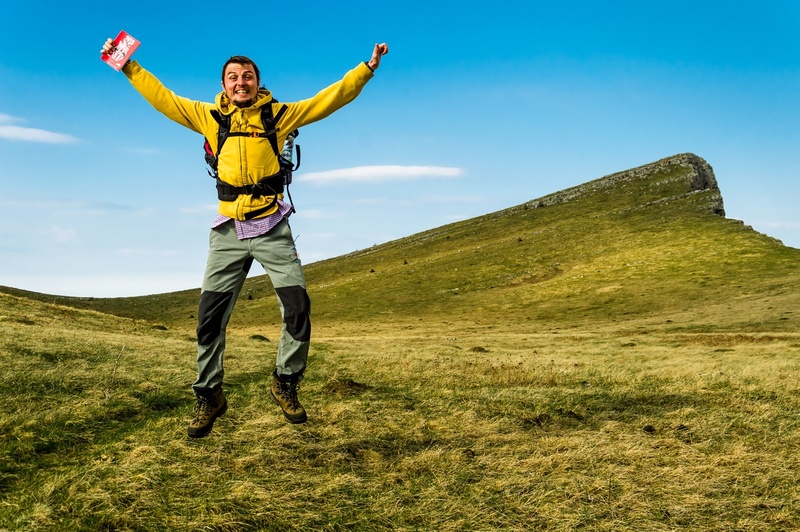 Because it’s the challenges that make you advance, explore and become a happy person! 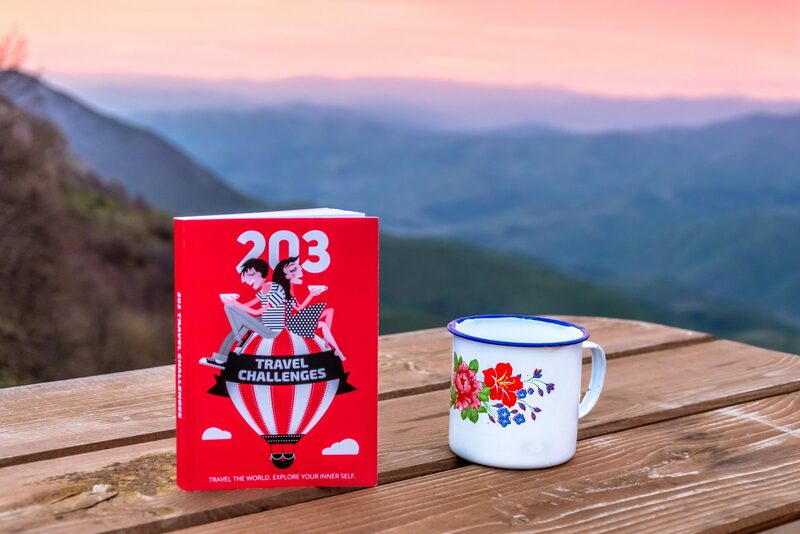 Read an interview with the authors of “203 Travel Challenges”! We are all jaded, with a constant bombardment from the Internet, Instagram, or Pinterest, riddled with cliches about “life-changing moments”, “The Secret” etc. The plans and ideas in this book are very inspiring and have more depth. It is so fresh and so energizing. Reading this book helped me reassess what is important when traveling. I’m not sure how many of the challenges I’ll complete, or even how many I’ll attempt. But even if I don’t dare get lost in a mountain without a map, the idea of doing things differently is what I love. Kudos to the writers for seeing the travel experience as something unique and personal, not generic and dull. 203 Travel Challenges is, like so many of the best creations in life, a deceptively simple concept made possible by a whole lot of effort and research behind the scenes. No matter whether you’re a hardened traveler looking to push your limits or a beginner taking your first steps on a new journey, with this book in hand you’ll be a jack of all travel trades, perfectly equipped to uncover the most interesting experiences your next destination has to offer. If you’re searching for a dash of inspiration to spice up future trips, look no further than 203 Travel Challenges. 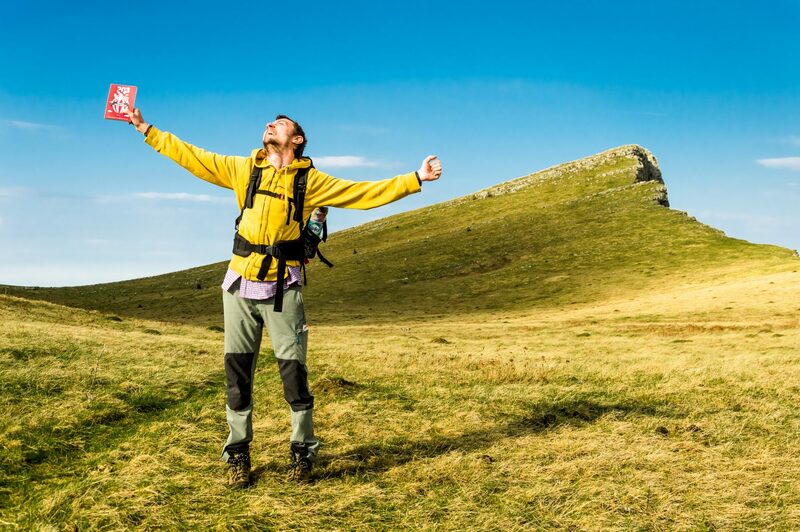 Are you ready for your personal adventure?